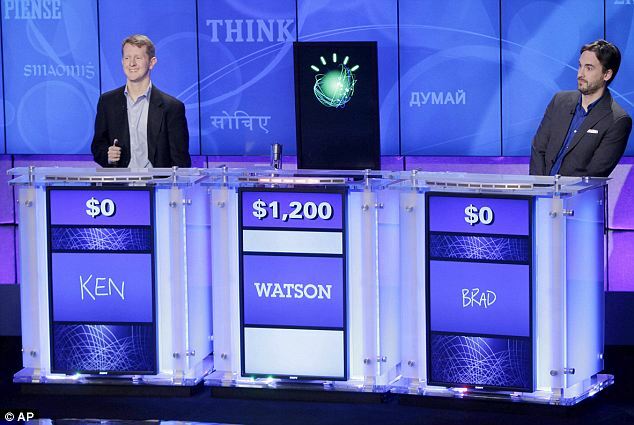 “I for one welcome our new computer overlords.” Ken Jennings had it right when he lost to IBM’s Watson on Jeopardy. Computers and robots are taking over various tasks previously and currently handled by people. By some estimates, 80% of all welds today are done by robots. When was the last time you visited a human bank teller? You can even check out at the grocery store or hardware store using a computer instead of a human cashier. You should be able to figure out your chosen career’s longevity by watching for signs of computer automation. What about teaching? Vicki (the owner of this blog) is a teacher. Or rather, she has been a teacher and likely will be again. Right now, she’s a tutor. She recently gave a workshop at the University of Georgia on the use of video in the classroom. She has an article published on classroom “flipping,” where students watch video lectures at home on the computer and do what we would call “homework” in the classroom under the watchful eye of a human teacher. And then there are MOOCs -- Massively Open Online Courses. Here, a major university will present a recorded series of lectures on a specific subject, with homework and tests graded by humans. Each one-hour lecture can reach thousands of students over many semesters. My contention is that this future vision of education leads to one inevitable conclusion… the future of teaching lies with tutors. 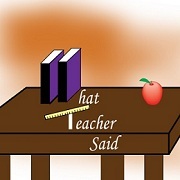 A computerized course, or a records lecture, or a MOOC means that the “teacher” or professor may not be available to the student for extra help or clarification. But the tutors are always there. They’ve been there throughout history, and they will become ever more important as our “computer overlords” take over the repetitive grunt work currently performed by the high-priced PhDs on the university payroll. Superb. I really enjoyed very much with this article here. Really it is an amazing article I had ever read. I hope it will help a lot for all. Interesting topic for a blog. I have been searching the Internet for fun and came upon your website. Fabulous post. Thanks a ton for sharing your knowledge! It is great to see that some people still put in an effort into managing their websites. I'll be sure to check back again real soon. Tashina Lovitt A debt of gratitude is in order for a great offer. Your article has demonstrated your diligent work and experience you have in this field. Splendid .i cherish it perusing. Thank you for sharing this knowledgeable post about the future of education. As we all know essay writing is a very daunting task. If you are looking for professional Custom Essay Writers In USA, visit writingorder.com. I have been an independent educator on and off during the time in different http://nancymccoyauthor.com/ situations in independent classrooms openly secondary schools, center schools and primary schools. Getting tired of learning difficult online courses and programs? Visit our academy now to educate yourself in python basics and learn the basic functioning of various programs from your home. In order to understand 7 figure Cycle you must first understand the average daily billing method, which will now be explained. I think the online classes system will take the lead. I have been an independent instructor on and off during the time in various conditions in independent classrooms out in the open secondary schools,ENGINEERING MUT center schools and grade schools. Every professional has a place. Wonderful article that you have shared here about the tutors. Your article is very interesting and I liked your way to express your views in this post. Nanyang academics is one the leading tuition agency in Singapore offering home tuition with a customized study plan. This is true that teachers have been working hard to make education perfect for all. Meanwhile there are some dissertation writing services that are also playing their role.